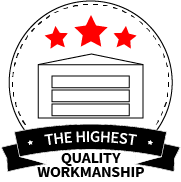 Looking for a qualified asbestos removal company ? 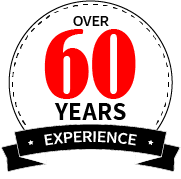 Grimston have over 60 years experience in the Leeds area and have thousands of satisfied customers. 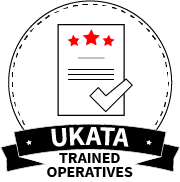 We are fully UKATA registered asbestos removal specialists and offer free surveys for asbestos removal and disposal throughout West Yorkshire. Asbestos can be found in any house or building built before the year 2000 as it was widely used in a variety of building materials. If asbestos materials are in good condition, and in a place where they are unlikely to be disturbed, then they should not cause any harm. It is only when the materials are damaged or disturbed, so that fibres are released, that asbestos can become a danger. With age most asbestos materials start to degrade and become dangerous. Do not take the risk ! Call us not on 0113 335 0039 for a free asbestos survey in Bradford, Leeds, Keighley, Halifax, Huddersfield and Wakefield. asbestos cement products (pipes, flues, roofs etc). lagging (on pipes and boilers etc). water tanks and toilet cisterns. asbestos insulating board (AIB – which closely resembles typical plasterboard). loose asbestos in ceiling and wall cavities. sprayed coatings on ceilings, walls and beams / columns. textured decorative coatings (commonly referred to as Artex). Do not try to repair or remove any asbestos materials yourself if you have not had any training. 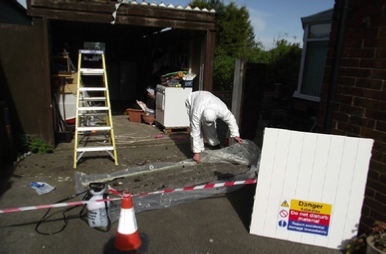 If you are sure (or strongly suspect) that your home contains asbestos materials then it is often best to leave them where they are, especially if they are in good condition and unlikely to get damaged. Call us immediately for a free asbestos survey. 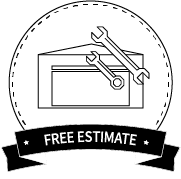 We will quite happily survey your asbestos removal project free of charge. 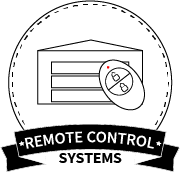 Our prices are reasonable and we work to the highest standards. Safe and certified asbestos removal. If your property contains asbestos you need to make sure it if safely and responsibly removed and disposed of by a qualified contractor. 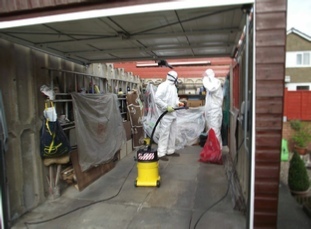 Grimston Asbestos Removal are UKATA A&B trained and Licensed waste carriers. The site is properly prepared for the asbestos removal. All asbestos is safely removed. 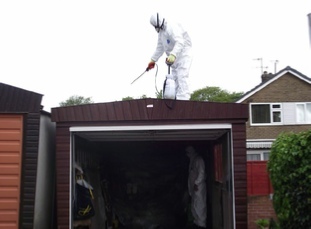 All asbestos is removed from site and ethically disposed of. All work to the highest standards. We Can Safely Remove and Decontaminate Asbestos From Your Property. We Are Certified Asbestos Removal and Disposal Experts With Years of Experience In The Industry. 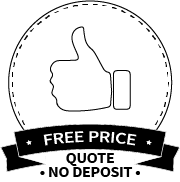 Call Grimston Asbestos Removal Today For A Free Survey and Price. Do not take risks with asbestos. Call Grimston Asbestos Removal today on 0113 335 0039.